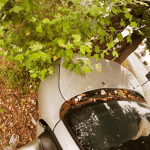 Can You Get Carpal Tunnel Syndrome From Motor Vehicle Accidents? Many people are familiar with carpal tunnel syndrome (CTS) as a condition caused by repetitive stress injuries such as working with vibrating tools, heavy manual labor, and even less impactful but repeated movements such as typing. Within these categories, carpal tunnel syndrome is often a workplace injury. What is less well known, however, is traumatic carpal tunnel syndrome that can be triggered by a single injury to the hand or wrist from an event such as a motor vehicle collision, a sports injury, or a slip-and-fall injury.